A practical guide to social media tools to aid recruitment. The internet and social media have transformed recruitment. When you know how, you can gain fast and direct access to people like never before. Job seekers can now access you directly and form opinions, good or bad, about your company by how you appear and interact online. This seminar will give you the skills to increase your direct sourcing. You will learn how to find, contact and recruit from a wide range of social networks, including LinkedIn, Facebook, Twitter, Google+ and more. You will learn how to present yourself and your company online to attract talent and how to use your employees, followers and fans to increase referrals. Plan ahead to catch the early bird discount of £50! 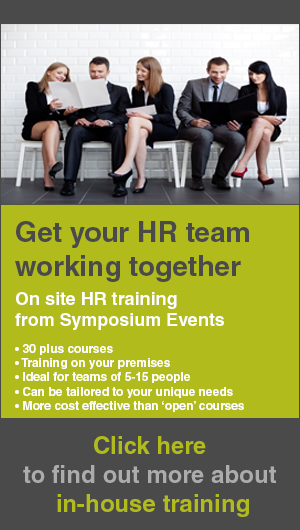 Book this event up to twelve weeks before hand and save £50. Alternatively, join our mailing list for event updates and special offers. What food and refreshments are provided? Generally coffee and light refreshments are available on arrival and at tea and coffee breaks throughout the day. The times of these are made clear in the event programme. Lunch is served on full day events. We arrange a buffet with a selection of options to accommodate different dietary requirements, but if you have specific needs please feel free add this on the ‘additional information’ section of the online booking for or to email us. Contact us here. I have a discount code – how do I claim it? If you have been sent a discount or special offer ‘coupon code’ this can be entered in the shopping cart while booking and your discount will be applied to your purchase. I have a ‘ticket’ email but it does not say the right delegate names? Don’t worry. You don’t need the ‘ticket’, it’s just produced by the booking software to confirm the order. If you added delegate details on the booking form when you completed your order or told us by phone or email the names of the attendees, these people will be registered and do not need to bring the ‘ticket’. How do I pay? Can I have an invoice? Can I pay with a credit card? Payment can be made by credit card when you book, or you can specify cheque, bank transfer or invoice etc. once you complete the registration form. An invoice or receipt is automatically sent once booking is completed online. For cheque and BACS payments, our account details can be downloaded here. Credit card details can be taken by telephone, please call our account department on +44 (0)20 7231 5100. We do not store any credit card details used for payment. Online credit card payments are transacted via Paypal – you do not need a Paypal account to use this facility. How do I book an event? Simply scroll down the page to the “Tickets” section. Select the number of places you wish to book and then click “Add to Cart”. You will then be taken to the shopping cart where you can confirm your purchase details, enter any discount or special offer coupon codes you may have, and arrange payment. Simply call us on 020 7231 5100. Changes are sometimes needed due to circumstances beyond our control such as trainers being ill, poor weather and so on. In the very rare circumstances that we need to change the date for an event we will automatically offer you a place on the next available event date. If this is not suitable for you we will refund your booking fee. We cannot accept liability for travel and accommodation costs and strongly advise you not to book cheap ‘non-refundable / no change’ tickets and to check your insurance covers travel and accommodation in these circumstances. Can you recommend a hotel near the venue? Yes! Some of our events are actually held at hotels, but not all of them, so we have put together a page to help you find a suitable hotel near all of our main venues. Can we run this event in-house? Yes we can run the event in house for you. There is some information on our in house option here and we suggest you contact us to discuss the options. Can I cancel my booking or transfer to another event? Please see our full terms and conditions here . Cancellations can be made up to one month before the event. Cancellations must be confirmed in writing and will be subject to a cancellation charge of £100 + VAT. Cancellations at less than one month from the event date are be subject to full payment. Substitutions may be made at any date and are subject to a £100 + VAT administration fee. Non-payment or non-attendance does not constitute a cancellation. If you want to change to another course date, or different event, we will do our best to accommodate your request, but we reserve the right to refuse changes. Any changes are subject to a £100 + VAT administration fee.